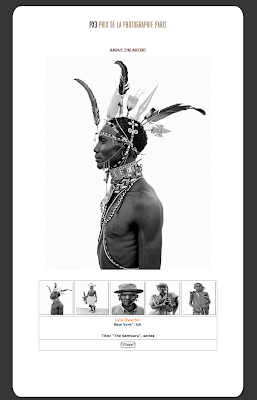 Got an e-mail today that the Samburu series I've been working on took 1st place in the people's choice section of the 2008 PX3 photo competition in France (it was picked for honorable mention by the jury in the competition category). The book I did on 9/11 "And No Birds Sang" was also awarded an honorable mention in the publishing category of the competition (some great books were entered - its worth checking out the selections). The jury's in these competitions are not always easy to gauge but you gotta love it when the people get a chance to vote for their favorites.